KKR's Andre Russell was yorked by Mohammed Shami off the last delivery of the 17th over when the Jamaican batsman was on three but to the horror of KXIP, the umpire signalled a no-ball as the visiting team was found to have one fielder short of the mandatory four inside the 30-yard circle. 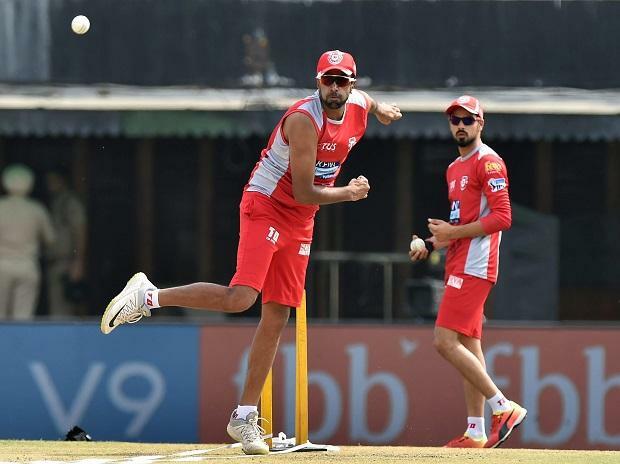 Asked about the game-changing no-ball incident at the post-match presentation, Ashwin, who was at the centre of the 'Mankading' controversy against Rajasthan Royals two days back, said as captain of the team he would take the blame. "We weren't really focussed on the small things and they do cost you big in this format. Yes, we definitely have to look at it next game. I'll take the blame (for the no-ball incident)," Ashwin said. "I should have had a look at it. At that stage, with the slog on, you hope the fielders are switched on but obviously he (Varun Chakravarthy or Hardus Viljoen) was a debutant," he added. "Thanks to that guy who was outside the ring. It's the new guy, forgot his name. Thank you. When I get bowled, I thought I had missed out but I saw the guys in dug out signalling no-ball and I was like, please God, let it be a no-ball. I did not let it go and capitalised on it," said the big-hitting Jamaican who was adjudged man of the match for the consecutive time. "Keep getting cars and these awards. I'll have to make a bigger garage." The 30-year-old Russell won the much-anticipated contest against compatriot Chris Gayle on Wednesday but he said the 'Universe Boss' was still the bigger hitter of the ball. Russell took the wicket of Gayle who scored just 20 off 13 balls. "Gayle is like a brother to me. A legend and to get him out early in the first six is big. The plan was to restrict him as best as possible. Today, I hit some big ones but he (Gayle) is still the bigger hitter," said Russell.